Brazilian super star Neymar . The 2018 World Cup is done and dusted and France are returning home victorious to a country giddy with glee. Aside from the victories, the penalty shootouts and the fact that ‘it’s really not coming home’ (sorry England), this World Cup will be remembered for perhaps some of the best diving viewers have seen this side of the Olympic Games, courtesy of Brazil forward Neymar. So frequent and dramatic were Neymar’s dives, they inspired the denizens of the internet to go into overtime, making all manner of creations and pouring scorn on the Pars St Germaine player’s antics. There was the neverending roll to the tunes of Limp Bizkit, which is probably the most reposted of the lot. Ever heard the phrase, ‘you couldn’t fool a child with that behaviour’? Yeah, Neymar may want to take note of that because he’s also become something of a punchline with school kids. Neymar’s diving became the stuff of such legend that it appears even farm animals wanted to get in on the action. Locally, Neymar’s diving became the subject of a KFC advert. 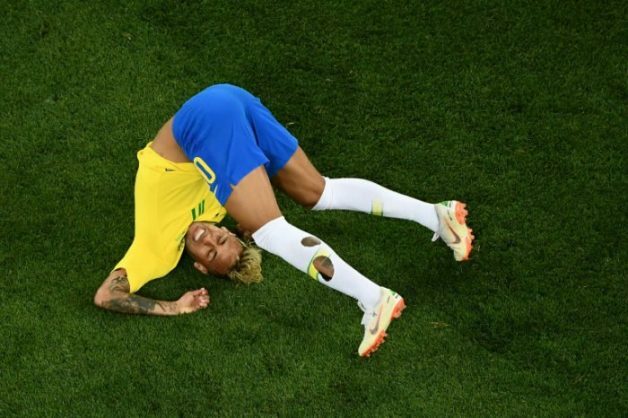 Eric Cantona weighed in on Neymar’s penchant for lying on his back wriggling like a dying wasp. The former Manchester United player and French international used his luggage as a prop to demonstrate how ridiculous this behaviour was. You know that you’re really pushing the boundaries of acceptable on-pitch behaviour when tennis players start mocking you during a match at Wimbledon. At this stage, we’d like to say, ‘Neymar, we salute you,’ but we don’t. We really don’t. The best thing that came out of your diving were these and other memes that landed on the internet. Really, Neymar, pull your socks up and stop being such a drama queen. Both yourself and the game of soccer would be all the better for it.